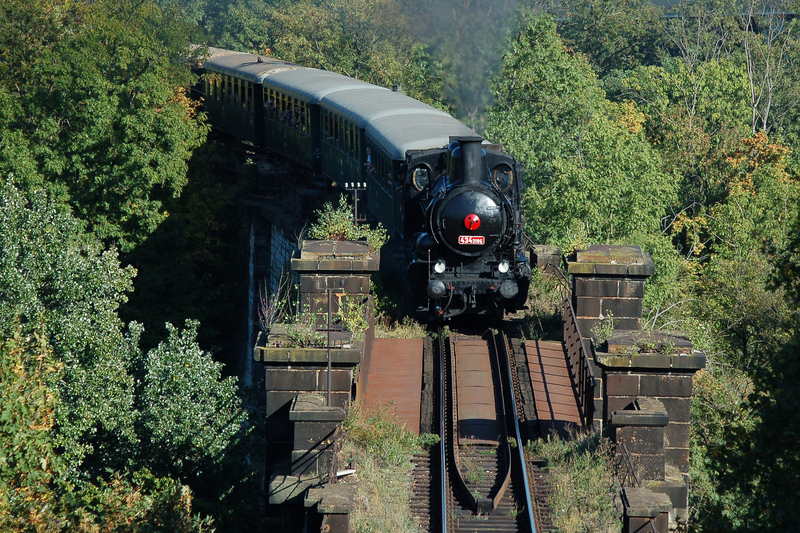 The unforgettable atmosphere of travelling by a steam train and unique views of the capital are worth trying! From the Smíchov railway station, the train goes to the Prokop Valley. The canyon in it reaches depths of up to 70 meters and it was created by erosion during the last million of years. Up to the station of Rudná u Prahy, we go on the track nicknamed “Humpbacked”. From Hostivice to Smíchov, the train runs along the route of the former Buštěhrad line which exceeds altitude difference of 150 meters. Thanks to its profile, the surrounding natural scenery and two historical viaducts, the track has earned the name “Prague Semmering” according to the well-known Austrian mountain railway. The final section of the journey allows you to admire the legendary Vyšehrad rock and the plain of Pankrác with modern buildings. From the railway bridge across the Vltava river you will also be delighted with the city’s spectacular skyline crowned by the majestic Prague Castle. You can make a reservation for groups of at least 20 people by email at prahanostalgie@gr.cd.cz. Advance sale of the travel documents is started 30 days before the ride. Travel documents can be purchased at all ČD ticket offices.